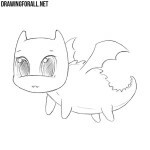 We have a very large number of very difficult drawing lessons. But since we are read not only by professional artists, but also by young and novice artists, we are often asked to draw something simpler. 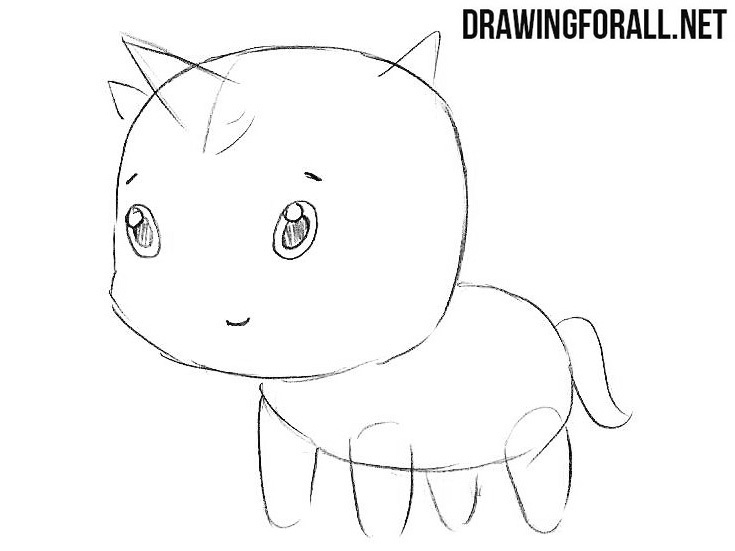 And so we decided to create a very simple and cute drawing lesson about how to draw a chibi unicorn. First of all, we sketch out a large round head. You can sketch out the cheek as in our example. Draw two intersecting lines that will help to draw the details of the face. 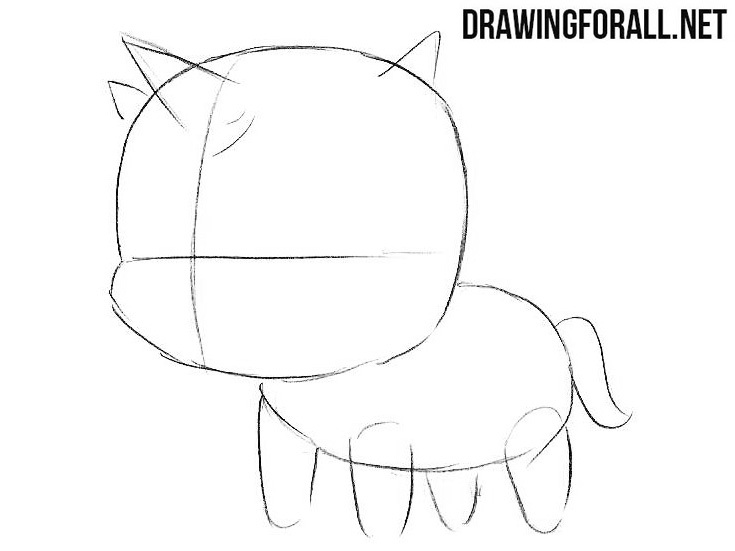 With the help of an oval, sketch out the torso of our unicorn. 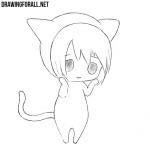 Next, using four small ovals, draw limbs, as in our example. Let’s now add some basic details to the body of our unicorn. On the head sketch out the horn and ears. 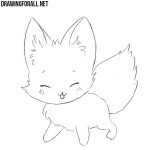 Outline a small tail and go to step four. On the head draw beautiful eyes, eyebrows and a smiling mouth. Paint out the eyes leaving glare like in our example. 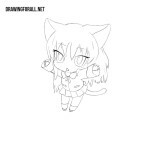 Now, using clear and dark lines carefully draw out the outline of the head. Draw the lines on the horn and the mane on top of the head. 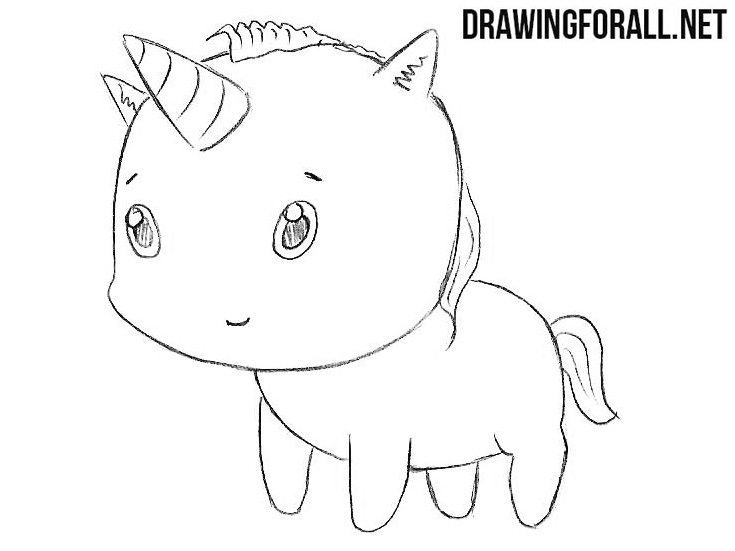 In the last step of the drawing lesson on how to draw a chibi unicorn we need to draw out the body using clear lines and erase all unnecessary guidelines. It was an extremely simple drawing lesson, and we hope that all our readers will be able to cope with this drawing lesson. If this lesson was too simple for you, then visit a more complex lesson on how to draw a unicorn. 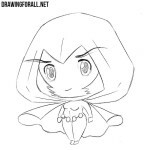 What other lessons and characters would you like to see on the pages of our site? Write to us about it in the comments to this article or on our social networks. 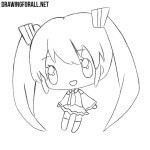 Also do not forget to share our drawing lessons with your friends, it is very important for us.